GM, Ford and Chrysler Embrace Fuel Saving Innovation. Fuel prices are continuing to fall, dropping below $2.50 per gallon for regular grade gasoline in some areas. That’s just the kind of move that has some shoppers looking at larger and less efficient vehicles, perhaps advancing certain auto trends not yet foreseen. The drop in fuel prices, expected to last for several years, won’t stop car manufacturers from innovating, however. Instead, there are a number of changes underfoot that will continue even if gas prices continue to trend downward. This small diesel powers select Ram 1500 models. Of all the major manufacturers, the Chrysler Group has the heaviest exposure to larger vehicles. That’s good for profits, but it is bad in helping the company reach mandated corporate average fuel economy (CAFE) ratings. The problem becomes magnified in each succeeding year up to 2025, when manufacturers must find a way to produce and sell passenger vehicles averaging 54.5 miles per gallon. Chrysler needs to move away from V-8 engines or at least offer powerful, smaller engines that can step in as well. At present it has a pair of V-6 engines that are likely to play a much larger role in helping Chrysler reach its goals. Specifically, Pentastar family engines displacing at 3.2 and 3.6 liters will receive important innovations. Those upgrades will bring in a host of technologies such as turbocharging and direct injection notes AllPar.com. 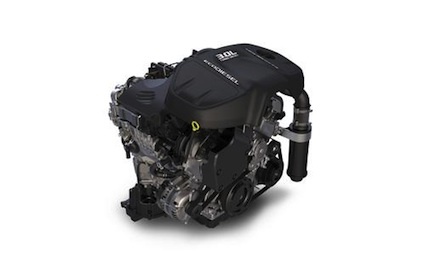 Ford makes use of these technologies in its EcoBoost engines, enabling it to provide smaller and more efficient engines with no loss in overall power. Currently, both Pentastar engines are naturally aspirated; making new technologies available will mean supplementing its current V-8 line of HEMI engines. Eventually, those larger engines might be dropped as the CAFE mandates are raised. 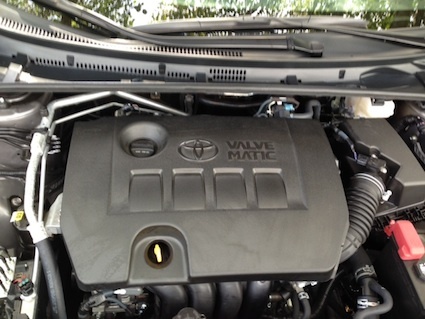 Toyota pairs its 1.8-liter engine with a CVT. Just as Toyota added a continuously variable transmission (CVT) to the Corolla line beginning in 2014 and has enjoyed a nice boost in fuel economy, Ford may do likewise with some of its own models reports Automotive News. Much attention has been directed Ford’s way with the upcoming release of 9- and 10-speed transmissions. Those transmissions, however, will be paired with its larger engines. A CVT could find its way in such cars as the Ford Focus and Fiesta. Certain versions of those models already get at least 40 mpg on the highway and a CVT could advance those numbers. CVT technology has been used by Nissan for more than 20 years, but other automakers have had mixed results, in part because of consumer hesitancy. For instance, CVTs don’t use gear points as do standard automatic transmissions and cause a rubber band effect when pressing on the accelerator that returns a pulling sensation. Engines tend to sound louder and the resultant transmission lag annoys some people. Toyota has found a way to limit that sensation and that could be something Ford has figured out too. As gas prices fall, diesel prices drop too. Still, diesel fuel now carries a mark up of about 20 percent even as such engines are 30 to 35 percent more fuel efficient than comparable gas engines. 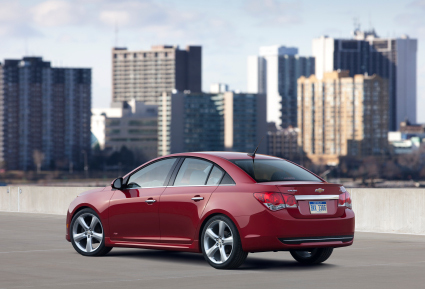 GM continues to use diesels in smaller vehicles including Cruze. GM has long been committed to diesels with its heavy-duty pickup trucks. It also offers a diesel variant for the Chevrolet Cruze. Come 2015 and you will see an expanded diesel application in its midsize pickup trucks — Chevrolet Colorado and GMC Canyon. But it may not stop there. Indeed, ever since the Ram 1500 received a 3.0-liter six cylinder diesel option, competing automakers have been studying doing likewise. GM, along with its Isuzu partner, jointly manage DMAX — a company that produces the 6.6-liter turbo diesel V-8 engine found in heavy-duty Chevrolet and GMC pickup trucks. A 2.8-liter turbo diesel four will power the midsize trucks; a 2.5-liter turbo diesel four is available in other markets, such as in Thailand. What GM needs is a V-6 diesel motor and it once has access to one when it shared ownership of VM Motori with Fiat. In Oct. 2013, Fiat acquired GM’s 50 percent share in the company, effectively shutting GM out of the market. Still, GM likely has a V-6 turbo diesel on its drawing board, perhaps based on the smaller fours and measuring about 3.8 liters. Expect GM to green light production if diesel demand increases, but perhaps not until fuel prices are raised across the board again. Although engines and transmissions will play a significant role in improving fuel economy, further innovations will come through vehicle lightweighting. We’re seeing some of that right now in the aluminum-bodied 2015 Ford F-150. Ford’s competitors — domestic and foreign — are responding by choosing high-strength, but lighter weight steel, carbon fiber and are pursuing other fuel saving initiatives. These efforts will continue even as uel prices are sinking, what is likely to prove a temporary pull back as automakers prepare for much higher CAFE standards. The Consumer Reports 2014 Annual Reliability Survey is out, what paints a highly critical and negative picture of in-car technologies, particularly infotainment systems. Such systems typically provide audio, information and navigation access, but often do not deliver as promised. Instead, users may find these systems confusing, unreliable or simply unworkable, leading Consumer Reports (CR) to say that they present a “growing reliability plague” for manufacturers. 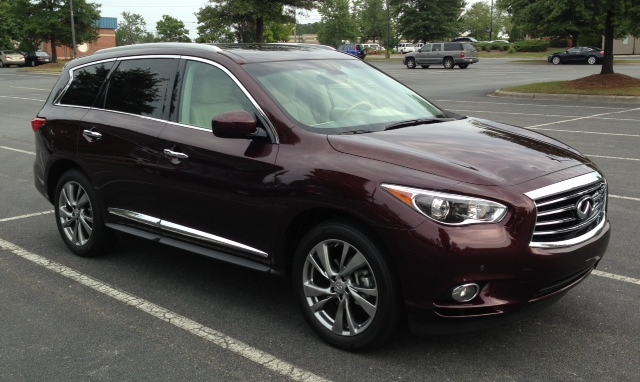 Consumer Reports took exception with the Infiniti QX60. CR especially pointed to flaws found in first-year models for several brands, including Cadillac, Ford, Honda, Infiniti, Fiat, Jeep and Ram, with each having numerous bugs and glitches in their infotainment systems. CR surveyed owners of more than 1.1 million new vehicles, identifying 17 problem areas. Topping the list were in-car electronics, easily outpacing consumer complaints in other areas. As before, CR found that the Asian brands usually outperformed all others with the American brands finishing far down the pack. Most European brands were in the middle of the pack or toward the end. Audi, however, continues to excel, finishing in the fifth spot for the second consecutive year. Porsche took the ninth position. Lexus, Toyota, Mazda and Honda nabbed the top four spots. Following Audi, Buick, Subaru, Scion, Porsche and Kia rounded out the top 10. Fiat Chrysler, however, took the last four spots of the 28 brands surveyed with Dodge, Ram, Jeep and Fiat rounding out the group. Despite the apparent quality issues, Fiat Chrysler continues to thrive. Indeed, the Chrysler Group has experienced 54 consecutive months of year-over-year sales increases through Sept. 2014. Chrysler Group sales are up 15 percent for the year, nearly three times the industry average. The Chrysler Group is seeing Jeep sales up by 45 percent and Ram sales up by 25 percent for the year. For its report, CR gathered data for 248 models, looking at 17 potential problem areas. From its survey it has been able to accurately point out future problems owners may have with their new vehicles as well as to spot trends. One trend that isn’t boding well for Infiniti is the reliability of two of its models: the new Q50 sedans and the QX60 crossover. Both models have had their share of problems, causing Infiniti to take the largest plunge of any brand, falling from 6th place last year to the 20th position this year. CR did find that some manufacturers are making changes that have made their infotainment systems easier to use. CR has criticized Ford and Lincoln for their technologies, but the two Ford Motor Company brands have made steady improvements ever since the organization slammed the 2011 Ford Explorer’s quality. While Ford rose three positions this year, Lincoln had the largest year-over-year increase of any brand, jumping 12 positions to the 15th spot. Mercedes-Benz fell 11 spots on the heels of introducing its CLA-Class sedan and high-end S-Class. A few of its models, including the GLK utility vehicle and the E-Class V-6 sedan, outperformed the market. American manufacturers need to pay closer attention to certain segments where these vehicles are not performing up to par. CR found that the subcompact Chevy Sonic, the compact Chevy Cruze, the compact Ford Focus and the compact Dodge Dart turbo each performed below average. Large pickup trucks have been a problem too with the Chevrolet Silverado, GMC Sierra and Ram 1500 each performing below average.